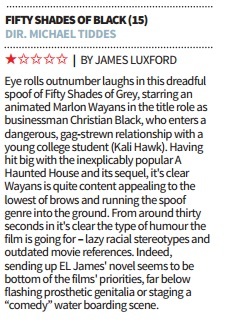 City AM: “Anomalisa”, “Divergent Allegiant”, “Kung Fu Panda 3” and “50 Shades of Black”. 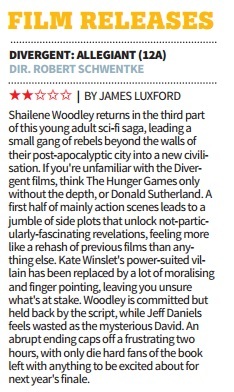 Please click the images above for my reviews of “Anomalisa”, “Divergent: Allegiant”, “Kung Fu Panda 3” and “50 Shades of Black” for the 11th March edition of the City Am newspaper. The online versions of the articles can be read here. 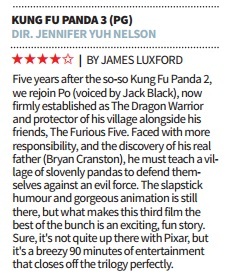 Posted in City AM, Movie Review, Uncategorized | Comments Off on City AM: “Anomalisa”, “Divergent Allegiant”, “Kung Fu Panda 3” and “50 Shades of Black”.